Worldwide distribution: Native to Europe, north Africa and western Asia, though planted worldwide. Local distribution: Very common in the UK and Ireland. Habitat: Hedgerow, woodland and parks. 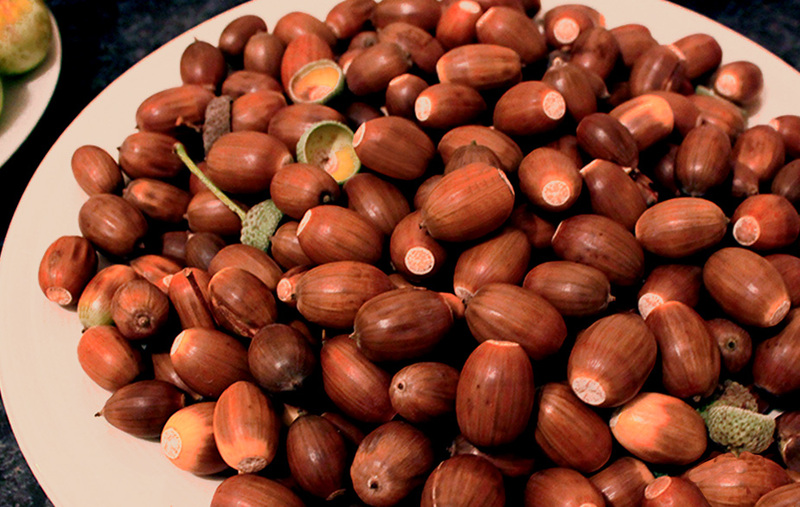 Foraging season: Nuts in early autumn. 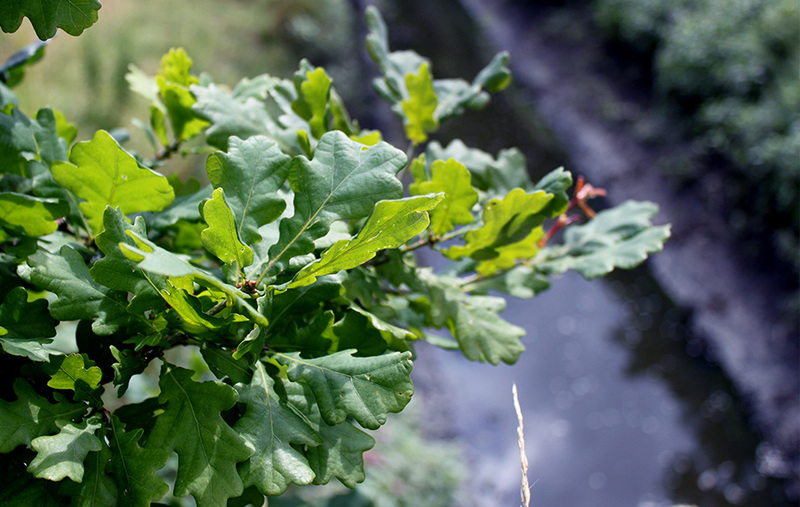 Oak is the most common woodland tree in the UK and Ireland; so much that it has been a national symbol of strength and longevity for English culture, heavily featured on folklore, literature and local history. The saying goes “Mighty oaks from tiny acorns grow” meaning that something great may come from a modest beginning. Acorn is the nut of the oak tree (Quercus sp). 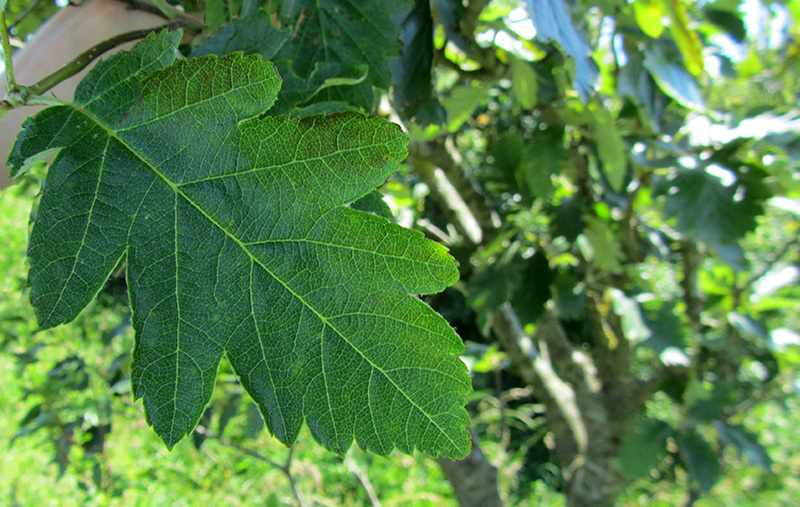 There are two native species in Britain: the English oak (Quercus robur) and sessile oak (Quercus petraea). Both of them have slight differences and often hybridise in the wild (Quercus x rosacea). The trees are all around us and are quite prolific; yet rare are the people who bother with acorns. The issue with the nuts is not their flavour but the effort involved in getting them ready to eat, because they are naturally inedible to us humans. Acorns are packed in tannins; a compound that makes them astringent and bitter and they must be processed (“leached”) to make them palatable. All parts of the oak can be used, including bark, leaves and nuts. Oak wood is one of the hardest and most durable timbers and is popularly used for making the barrels in which good wine and whisky are matured. The nuts are nutritious and provide a complete vegetable protein, the starch, which is the toughest thing to forage for. Nutty and sweet, they provide an alternative gluten-free version for regular grain flours that contains large amounts of protein, carbohydrates and fats. Cam you please tell me when they stop falling from the tree? They hit the roof right next to my head every couple of minutes and I can’t sleep!!!! Thank you for this post! It’s amazing that all this food is around us and many, including myself, have no idea it’s edible. That’s why posts like this are very important! I was wondering, once leaching the tannins out by soaking, would you say acorns are safe to eat raw? (without the shells). Hi James, acorns are safe to eat after proper cold-leaching because you have removed the tannins. However, I would recommend using those for baking! Thanks for your support! can you tell me if you pick acorns green or brown please? Hi Alison, pick them brown. Green immature acorns are unsuitable for eating. Do you have a recipe for the acorn sauce for game? I’d love to try it out, but can’t find a recipe on the Internet.